Each state has its own rules related to who can bring a wrongful death lawsuit and which damages may be recovered. 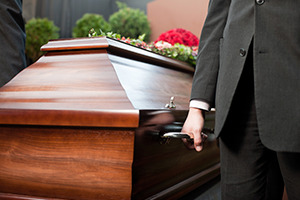 In most states, when someone's death is caused by another's neglect or wrongful act, the person or entity that caused the death may be held liable in a wrongful death action. Generally, this type of lawsuit may be maintained if the decedent could have sued another party for personal injuries, had he or she not died. If you have lost a loved one due to someone else’s carelessness, the experienced Chicago wrongful death lawyers at Moll Law Group are available to help you pursue compensation. Billions of dollars have been recovered in cases in which our injury lawyers were involved. Unlike a criminal case based on someone's death, in a wrongful death lawsuit, liability is expressed in monetary terms. A wrongful death claim may be brought against the party responsible even if criminal charges have been dropped or no conviction was obtained. In criminal cases, the standard of proof is "beyond a reasonable doubt." The standard of proof in wrongful death and personal injury cases is lower. This means that it is much harder to get criminal charges to stick than to prove liability in a wrongful death case. The purpose of a wrongful death lawsuit is to give a decedent's family members recourse to recover compensation after the loss of a loved one. In each state, the rules about who may bring a claim are different. In Illinois, a personal representative of the decedent's estate may file the wrongful death claim. Often, a personal representative is a close family member of the decedent, such as a spouse or parent. The court can appoint a personal representative if the decedent did not leave an estate plan. In Illinois, the wrongful death lawsuit must be filed within one year of the date of death or within the statute of limitations for the underlying type of claim, whichever of these dates is later. For example, a personal injury case arising out of product defects and resulting in a wrongful death must usually be filed within two years. If you fail to bring your lawsuit within the appropriate statute of limitations, you may be barred from bringing it at all. A wrongful death lawyer can help Chicago residents ensure that they comply with applicable deadlines. The purpose of filing a wrongful death lawsuit is to recover damages for next of kin. The specific family members entitled to recover damages vary from state to state. Under Illinois' statute, 740 ILCS 180/2, the jury is permitted to award whatever damages are considered fair compensation for losses resulting to the decedent's next of kin, including grief, mental suffering, and sorrow. The damages are distributed to a surviving spouse and next of kin according to how dependent they were on the decedent. No amount of money can truly make up for the untimely death of a loved one. However, compensation can help a struggling family get back on its feet financially, particularly when they have lost someone who contributed wages or guidance. If you wish to file a lawsuit after a fatal accident, the Chicago wrongful death attorneys at Moll Law Group are available to help recover compensation. We represent people in Naperville, Schaumburg, and Wheaton, as well as communities across Cook County. Our product liability attorneys also assist injured individuals and families in states nationwide, such as California, Florida, New York, Texas, Pennsylvania, Ohio, and Michigan. Call us at 312-462-1700 or use our online form to schedule a free consultation.